Colin Firth always seemed to be an afterthought. In 1989 he appeared in the title role of Valmont, Milos Forman's film of Les Liaisons Dangereuses. 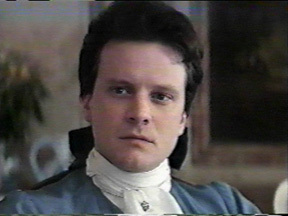 And Firth was fine, as was the almost-new-to-movies Annette Bening in the role of Merteuil. Trouble was, Dangerous Liaisons, the Stephen Frears version of the same classic French novel, beat Forman's picture to the screen by a year. The Frears got lots of attention from critics, audiences, and Oscar. Valmont got bupkes. But in the intervening 20-plus years, I've thought of Valmont many times; Dangerous Liaisons, rarely. Christian Bale's first screen performance remains one of his best, and it's the core of a great film. Unfortunately, the great film, Steven Spielberg's Empire of the Sun, was deemed a failure at the time—1987—and Bale was just a kid. Great films often don't get Oscar nominations, just as middling films have been known to win Oscars, and kids—well, kids. Just ask Henry Thomas, whose heart made room for E.T. 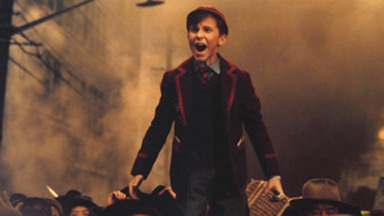 And whose only post-childhood role of consequence has been Danceny, in Valmont. Last week I told a friend I wasn't anticipating Oscar night all that much this year. Then I immediately emended that: No, I was anticipating Oscar night all too well. There was little room for doubt who or what was going to win, and the outlook wasn't prepossessing. As I wrote here several weeks ago, the triple crown victory of The King's Speech in the Producers Guild, Directors Guild, and Screen Actors Guild awards gave clear indication where Hollywood's heart lay and confirmed that film as the favorite to win the Academy Award for best picture. By showtime Sunday night, most partisans of the heretofore presumptive frontrunner, The Social Network, had conceded the field and pinned their hopes on a best-director victory for David ("99 takes!") Fincher over The King's man Tom Hooper. The first good sign was when the King's Speech nominee for cinematography, Danny Cohen, lost to Wally Pfister, who had shot Inception. Cohen's work giving everything a nice pearly gloss was perfectly suited to the mission (and consistent with what he'd done on Hooper's HBO miniseries John Adams), but it had no business being on the same ballot with Pfister's rising to the myriad technical challenges of Christopher Nolan's brainy sci-fi thriller, or Jeff Cronenweth's nimble limning of The Social Network's nerd world, or Matthew Libatique's fluid tracking through the sustained nightmare of Black Swan, or Roger Deakins' masterly steeping in the harshness and Old West grandeur of True Grit (the oft-nominated, never-Oscared Deakins had been favored to win). As expected—and merited—The Social Network took the adapted-screenplay award. Aaron Sorkin gave the evening's classiest acceptance speech: "I wrote this movie but David Fincher made this movie, and he did it with an ungodly artfulness." (The band started nudging Sorkin to vacate the dais halfway through his eloquent remarks; prime time is short and he is only, after all, a writer.) That movie also took best editing for its streamlined, multi-tiered narrative, and one felt a brief, can't-help-dreaming shiver remembering the conventional wisdom that the editing award usually foreshadows best picture. Then dull destiny took over, and there was Tom Hooper telling a quite charming story of how his mother had attended a workshop reading of a not-very-promising play called The King's Speech, then rung him up to say, "Tom, I think I've found your next film." OK, Tom Hooper has a mother. Seems to be a nice fellow. But he shouldn't have an Oscar. I had only two dogs in this fight. One was Fincher, on principle if not so much personal enthusiasm (what about Roman Polanski? Debra Granik?). The other was Annette Bening, who, dammit all anyway, gave the two best performances by an actress in a leading role last year, in The Kids Are All Right and (not nominated) Mother and Child. The buzz had it that she was "the sentimental favorite," which may have been true but was beside the point (cf. the pressure last year to make Kathryn Bigelow the first woman to win a best-director Oscar, whereas she deserved to win for the quality of her work). Still, the momentum held for Natalie Portman as unchangingly as the single expression that got her most of the way through Black Swan. And speaking of sentimental favorites, don't tell me the pregnancy and recently announced engagement didn't play their part in voters' enchantment. After that, anticlimax. The redoubtable Colin Firth got the best-actor trophy everyone has been predicting since his film's unveiling last autumn, and The King's Speech was certified as best picture of 2010. Steven Spielberg handed out that award, but not before graciously noting that the other nine nominees were about to join the company of The Grapes of Wrath, Citizen Kane, and other revered Oscar-losers. He might have mentioned his own Saving Private Ryan, which lost the 1998 award to Shakespeare in Love—another beneficiary, like The King's Speech, of a Harvey Weinstein vote-courting campaign ... but don't get me started.